The Italian motorcycle brand Ducati is known around the world for making high-end, performance motorcycles. Last year, Ducati sold more than 50,000 units of their bikes around the world. There is a good fan following of Ducati in India too, and there are many celebrities who own and regularly ride their Ducati bikes in India. Here is a list of all the rich and famous Ducati owners in India. Shahid Kapoor became the latest owner of a Ducati bike in India. He recently bought a Ducati Scrambler 1100 Special. This bike is the flagship Scrambler bike, and the unique model comes with beautiful brushed aluminium parts on its body that give it an exquisite look. The Scrambler 1100 Special comes with a price tag of around Rs. 11.12 lakh, ex-showroom. The Scrambler 1100 gets powered by a 1,079cc, liquid-cooled, L-Twin engine that generates a maximum power of 85 Bhp and a peak torque of 88 Nm. It comes with three riding modes that change the power output of the engine to suit the situation. Sanjay Dutt is a known motorcycle aficionado and also owns a Harley Davidson which he used to ride religiously during his younger days. Shahrukh Khan, a good friend of Sanjay Dutt gifted a Ducati Multistrada 1200 to the veteran actor. Sanjay Dutt made a small appearance in Shahrukh Khan starring Ra.One and Sanjay refused to take any money for the role he played. Shahrukh Khan instead gifted him the Ducati Multistrada 1200. The adventure bike is powered by a 1,200cc L-Twin engine that produces a massive 157.8 Bhp and 136 Nm. The bike is extremely useful and can do quite a antics off-the-tarmac too. 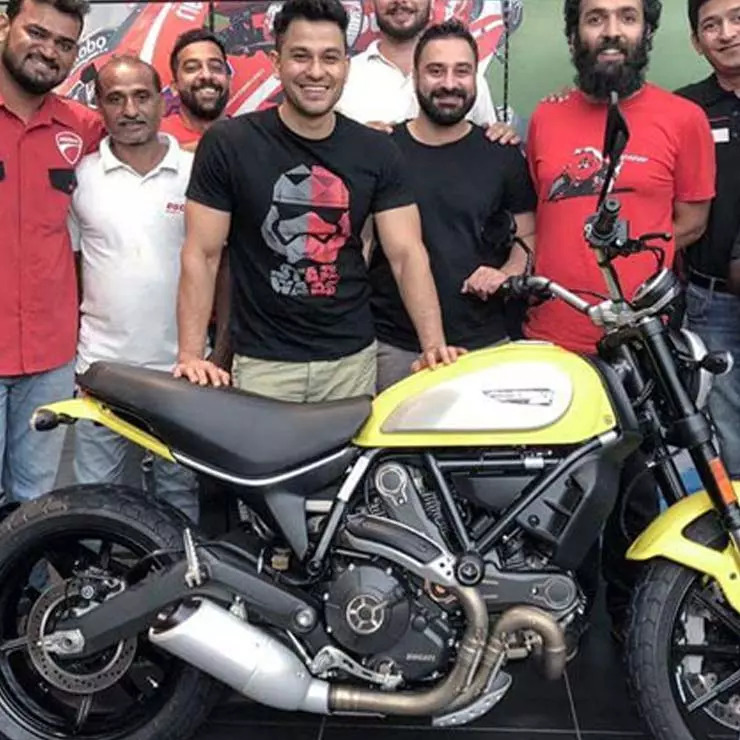 Kunal Khemu who has changed his name to Kunal Kemmu bought a brand new Ducati Scrambler Icon last year. The Scrambler Icon offers a unique design and gets a vintage touch to it that makes it look unique. Kunal has been spotted riding the bike quite often. 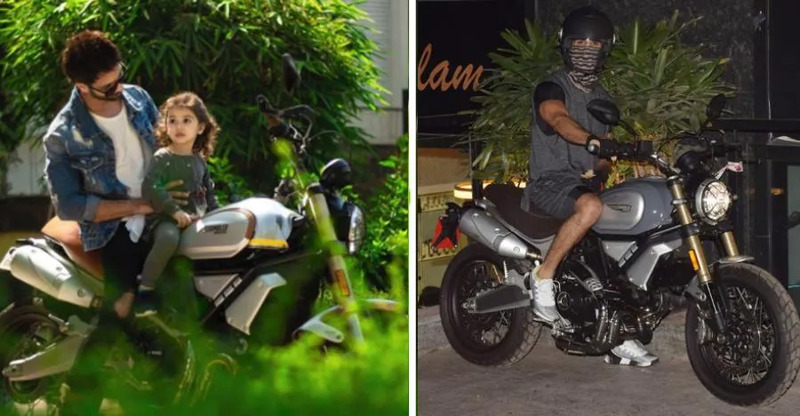 He bought the Scrambler after he tested Saif Ali Khan’s MV Agusta Brutale 800 without a helmet for which Mumbai Police issued an e-challan to him. The Ducati Scrambler Icon can be a very useful everyday bike. It gets powered by an 803cc, L-Twin, air-cooled engine that produces a maximum power of 73 Bhp and a peak torque of 67 Nm. The bike gets a price tag of Rs. 7.23 lakh, ex-showroom, Delhi. 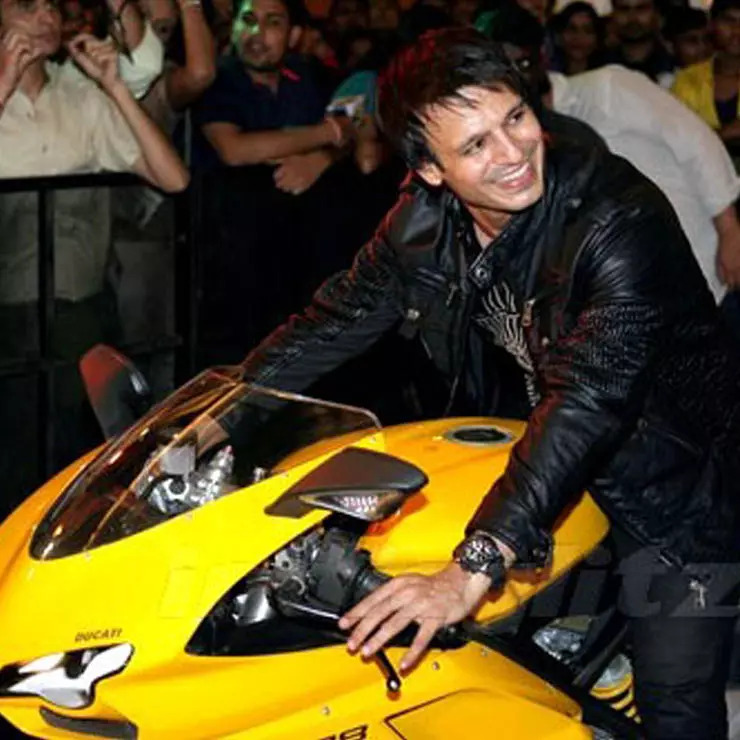 Vivek Oberoi has a range of litre-class Ducatis. One of them is the Ducati 1098, which he used quite a lot a few years back. The Ducati 1098 is an iconic bike and is powered by a 1,098cc, L-Twin Desmodromic engine. It generates a maximum power of 160 Bhp and 122 Nm of peak torque. The Ducati1098 is derived from Ducati’s MotoGP-class bike and can do 0-100 km/h in just 3.2 seconds. 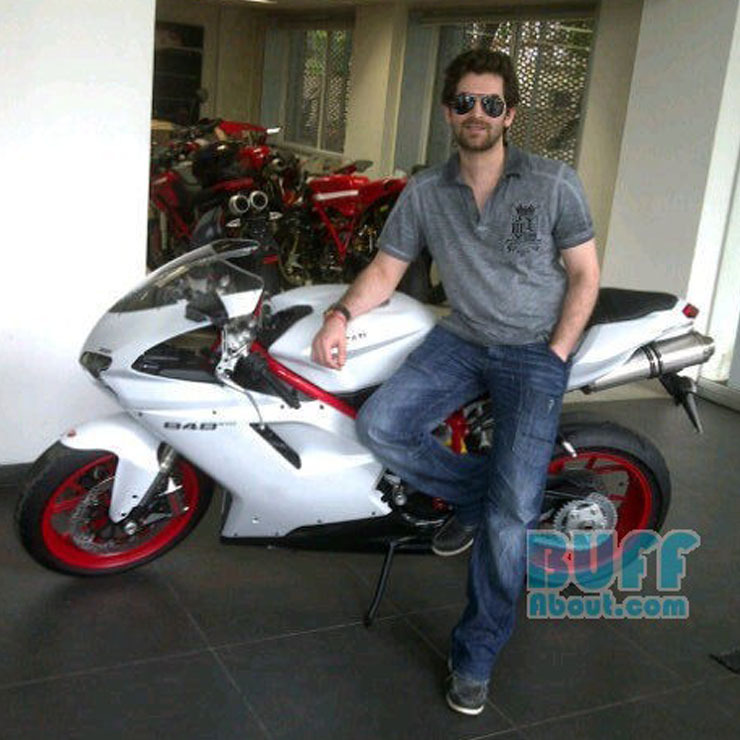 Neil Nitin Mukesh is an automotive enthusiast and owns quite a few exotic brands including Mercedes-Benz and Audi. He rides on a Ducati 848. The bike comes in an exquisite paint job and gets powered by an 849.4cc L-Twin liquid-cooled engine that generates a maximum power of 140 Bhp and peak torque of 98 Nm. It gets the 6-speed transmission and is a pure track tool. 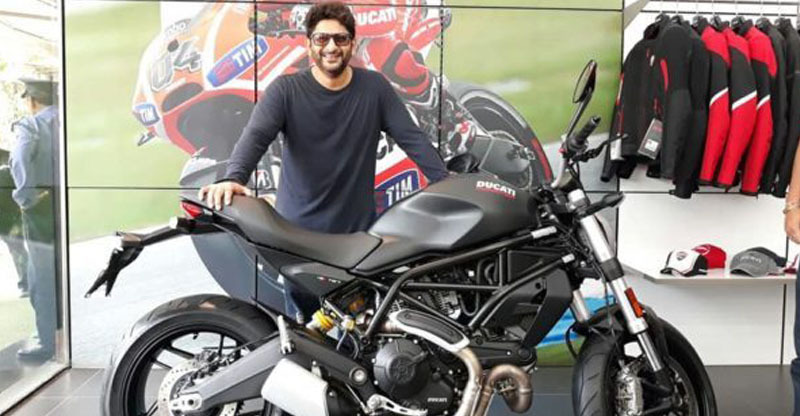 Arshad Warsi also loves motorcycles and last year he bought the Ducati Monster 797. The popular comedy actor uses his bike quite often. It is powered by a 803cc, Desmodue L-Twin engine that produces a maximum of 74 Bhp and 67 Nm. It gets a full LCD instrument cluster that can be connected to smartphones too. 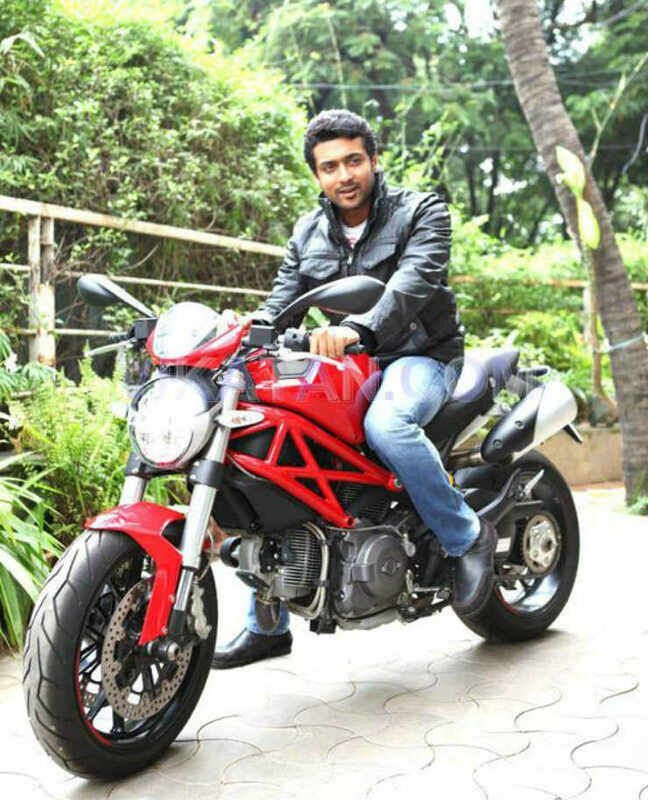 Surya, the popular actor from the Southern part of India bought a Ducati Monster 821, which is a naked streetfighter bike. Surya uses the Ducati Monster 821 for his daily work and was spotted dropping his kid on the bike too. The 821 replaced the ageing Ducati 796 from the market. It is powered by a twin-cylinder 821cc engine that generates a maximum power of 110 Bhp and a peak torque of 89 Nm.